The Honda WRV, like all other Honda products, costs more than its competitors. There is a difference of about 20,000-30,000 in the prices of the Honda WR-V and Hyundai i20 Active. The upcoming Honda WRV shares its engines with the Honda Jazz. So, it gets a 1.5 L Diesel and a 1.2 L Petrol. The power and torque figures stand at 90 PS and 200 Nm respectively. In terms of specifications, the two are almost equally matched. However, Hyundai’s 1.4 L diesel is much more refined than Honda’s 1.5 L diesel. Fuel consumption figures of the WRV are slightly below the Jazz hatchback’s. Which means it is more fuel efficient than the Hyundai i20 Active, at least on paper. Both cars get a similar set of features. Basic equipment like auto aircon, dual front airbags, ABS, etc. will be on offer on both crossovers. While the WRV does feature LED DRLs, it does not get a projector headlamp setup like the i20 Active. Also, the top end variant of the i20 comes with six airbags. However, the WRV does get certain additional features such as a sunroof, cruise control. While the WRV is based on the Jazz, designers have made extensive changes to the hatchback’s exteriors. The only similarities the can be seen are in the side profile and the rear end. There is a completely new nose, with a high set bonnet that gives it the crossover look. Other elements contributing to that are faux skid plates, plastic cladding and high ground clearance. In comparison to the difference in the appearance of the Jazz and WR-V, the i20 and i20 Active do not look that different from each other. Apart from new bumpers and body cladding, much of the design is the same. Unlike the exteriors, the dashboard of the WR-V is identical to that of the Jazz. The Jazz based crossover features the same design, steering wheel, instrument console, etc. It is the same case with the i20 Active. 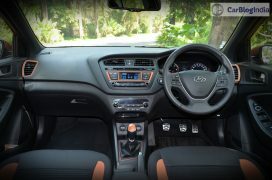 However, it features an all-black or blue-black interior with orange or blue highlights, unlike the i20’s black-beige theme. Also, space inside the cabin and cargo volume in both cases is identical to their respective donor hatchbacks. 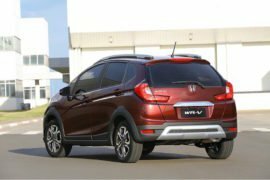 The Honda WR-V appears to be a good product for those looking for a hatchback crossover. 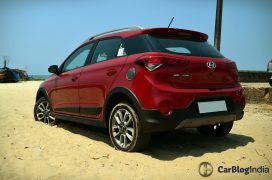 However, it might not be able to pull buyers away from more conventional compact SUVs such as the EcoSport and Vitara Brezza. 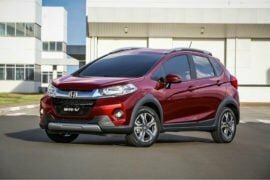 Price – Much like the rest of Honda’s products, the WRV crossover costs slightly more than the i20 Active. Design – Honda has done a decent job of infusing SUV-like elements into the design of the Jazz. However, design is a matter of personal taste so, it depends on the preferences of individual buyers. 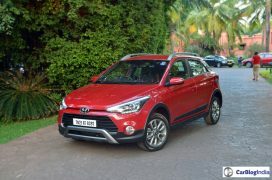 Features – The WRV offers more equipment in comparison with the i20 Active. 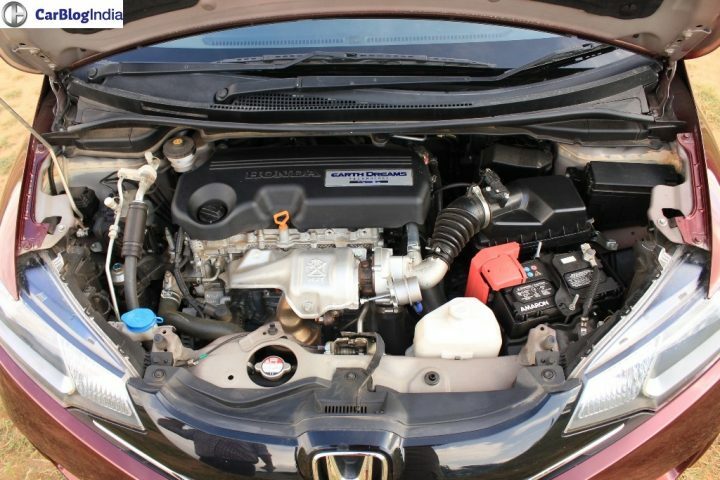 Specifications – Honda’s 1.5 L Diesel is little more powerful than the Hyundai’s 1.4 L Diesel. Petrol engines evenly matched in terms of specifications. 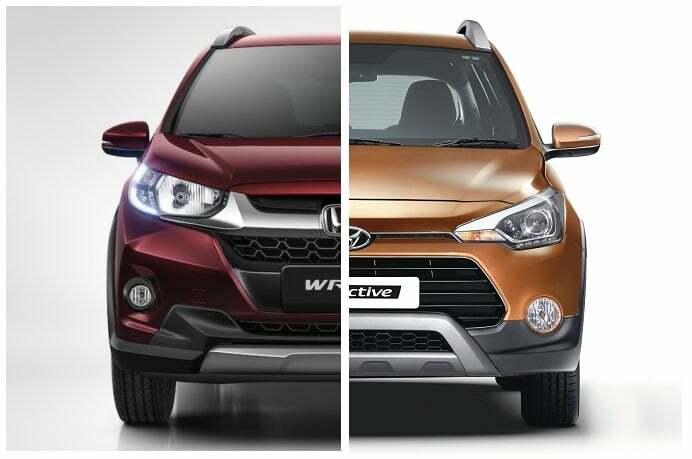 What do you think of our Honda WRV vs Hyundai i20 Active comparison? Do let us know in the comments section below. Stay tuned to Car Blog India for more updates on the Honda WRV vs Hyundai i20 Active comparison.